Sometimes you need to cover the truth to best expose it. This is what I decided as I sat in the parking lot behind my apartment building, a hammer in my hand and a crackling paper bag sitting on the cold pavement. 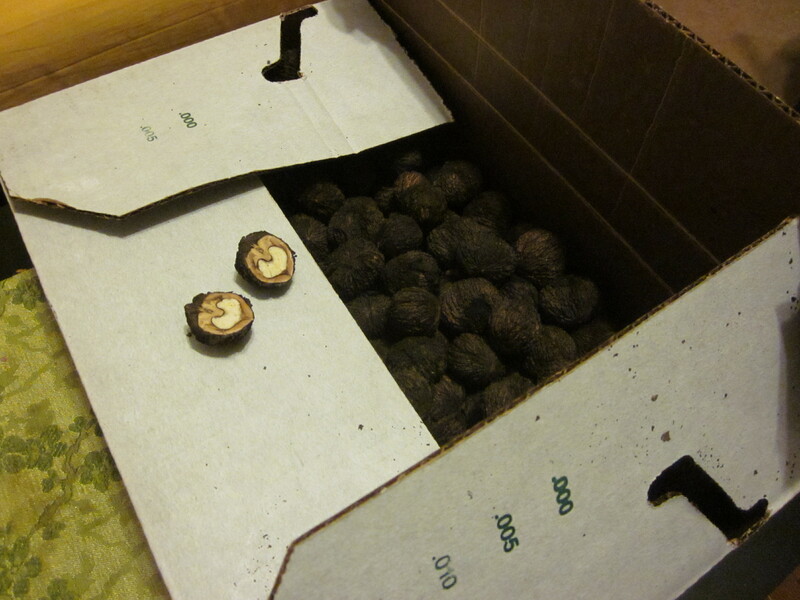 The truth, in this case, was black walnuts. Notoriously tough to crack, this bitter, perfumed species native to 15 states does not succumb to nutcrackers. They do, however, help me think about how I conceptualize good writing and what a metaphor fanatic I am. A little background: I ordered a case of these things for a locally-sourced meal not realizing it would take a research mission just to taste them. The most common advice I found for the home cook is to use a vise. Yes, a vise. Because of course you have one in the drawer right by the lemon zester. I didn’t have the equipment for that, so I developed a technique involving soaking the nuts, placing them in a paper bag, and then whacking the heck out of them. Stay with me here. The writing/metaphor part is coming.